Tuffa Tanks certainly would agree that more operators, both large and small, are taking on their own fuel tanks. 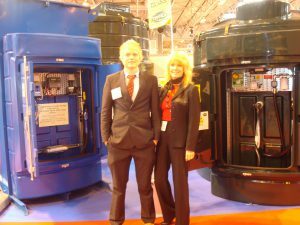 The company has seen a definite increase in the number of its fuel containers it sells to bus and coach operators. Not only are diesel tanks selling well, its AdBlue containers are too. Operators often require the tanks complete with fuel management with user keys for their drivers to allow easy management of their usage. 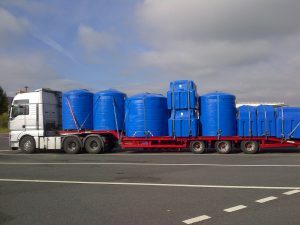 Mainly large diesel tanks of 6,000 litres upwards are proving most popular amongst the industry, with AdBlue storage tanks of 2,500 litres also selling well. Tuffa UK are experts in the design and manufacture of liquid storage tanks, rotationally moulded plastic and steel tank manufacturer for all your liquid storage needs, for fuel oils, diesels, petrol, Adblue, waste oils, bio fuels, lubricants, water, molasses, anti-freeze, chemicals, food storage and more and Tuffa have been manufacturing storage tanks up to 200,000 litres for more than 25 years. The company’s steel division can accommodate any customer requirements, including one-off and bespoke systems. Furthermore, with our highly skilled fabricator welders you will receive a steel product that will outshine any other. The company is located in the Midlands, is a family run business and prides itself on its customer service, quality and proactive innovative approach to product design, research and development, production diversification opportunities and export. Tuffa Tanks are designed in the interests of pollution control and typical applications for the Tuffa Tank range for vehicle fuelling are fuel stations, a self contained unit which include a submersible pump, meter, gauging, hoses, nozzle with all fuelling equipment housed in a cabinet to comply with Regulations. A variety of equipment is available to suit all budgets. We also offer a range of other tanks for the storage of diesel, antifreeze, engine oil, lube oil, waste oil, fire protected oil storage, chemicals and AdBlue storage & more. Multi compartment tanks are also available to store different products and ARMCO barrier for extra protection if required. In addition to the standard product range, Tuffa have recently introduced its own innovative Fuel Monitoring System (FMS) with optional management option. The system can be managed by the user from Tuffas own web portal where an account can be created and a fleet managed to allow you to keep in charge of your fuel, and can be used with all liquids.